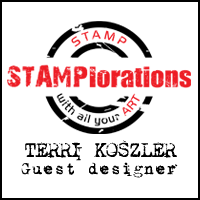 Today I am sharing with you some cards I made for tomorrows Tattered Lace star buy show on Create and Craft TV. I was asked to make some samples with the new Emoji dies, it was a very quick turn around time so I didn't have much time to play with them but they are so cool that I had lots of ideas to work with. 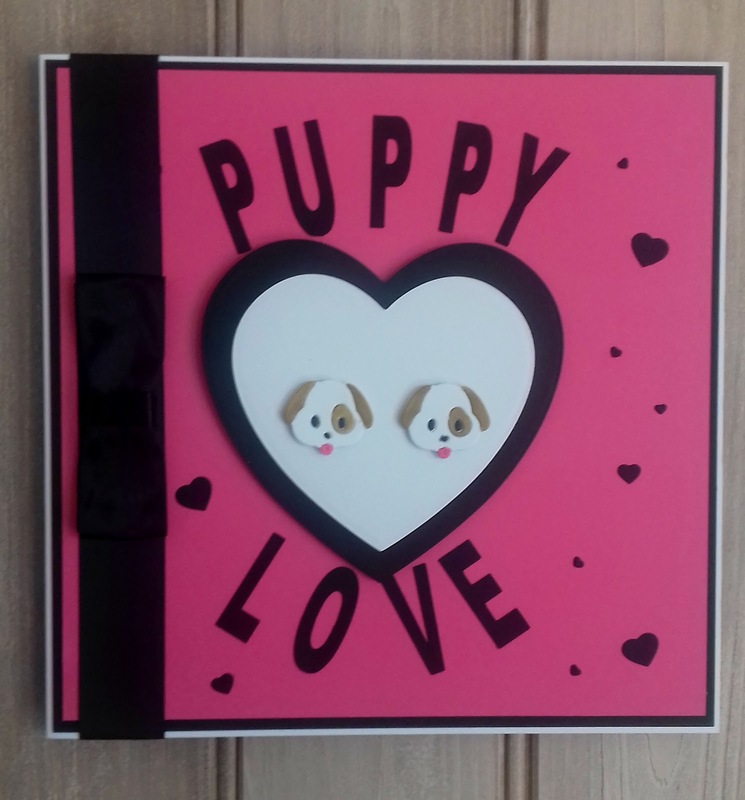 My first card is a pop up box card. 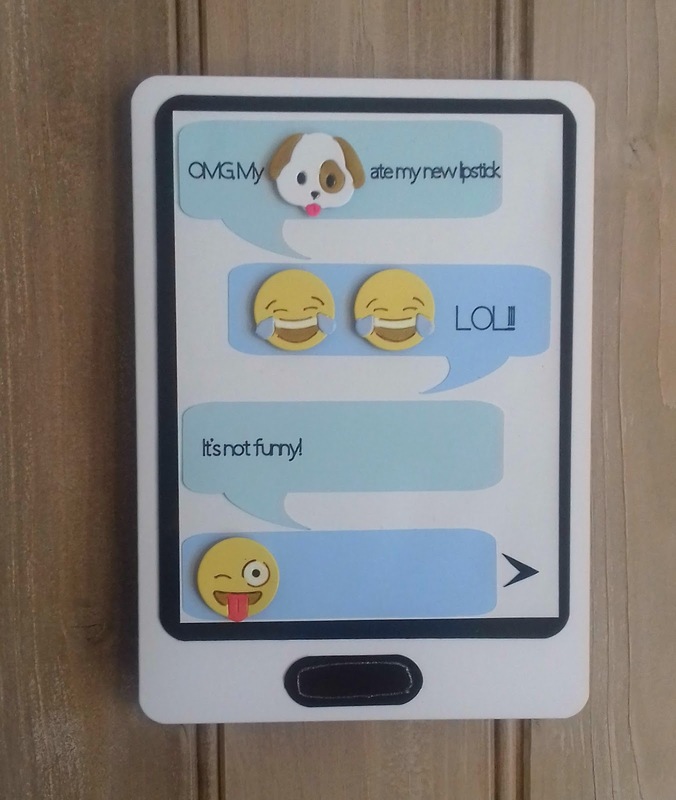 I used my electronic die cutting machine to cut some "text talk" sayings and added them on to speech bubbles, these along with the emojis make a really fun card, perfect for a teenager. 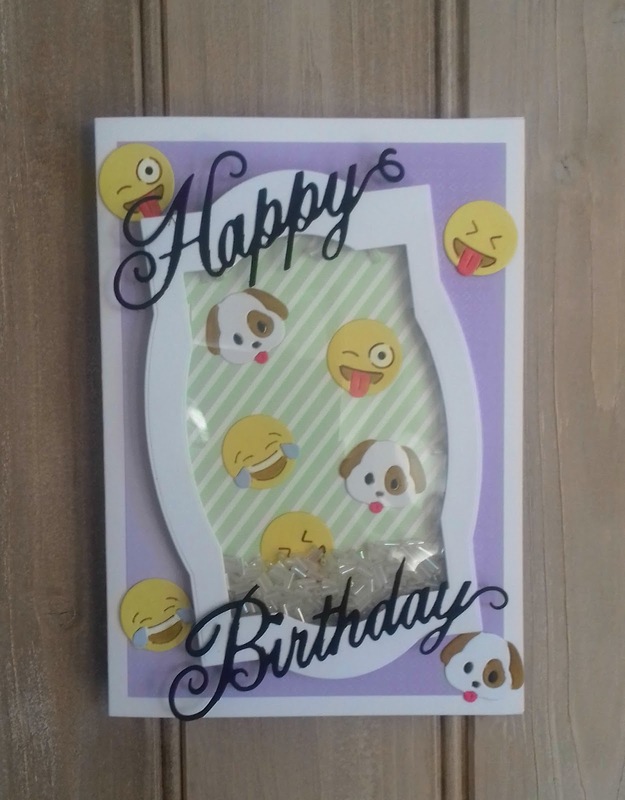 I then decided to make a shaker card using the emojis and some other dies from my Tattered lace collection. 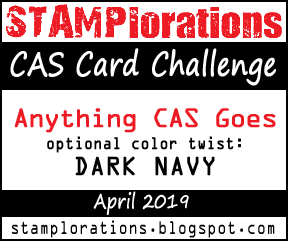 I love an interactive card and this one is super cool and trendy. As soon as I knew I had emoji dies on the way I knew I had to make a card that looked like a smart phone/tablet with a funny conversation on it. 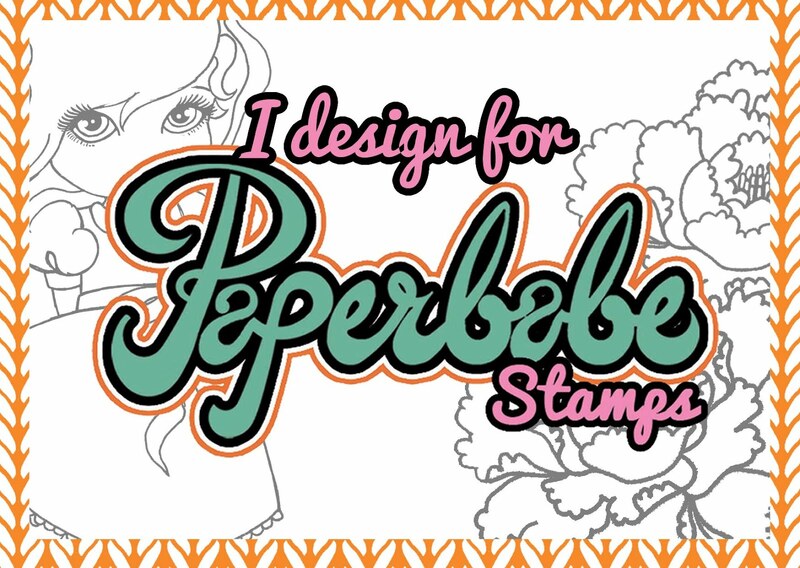 My kids love this one. 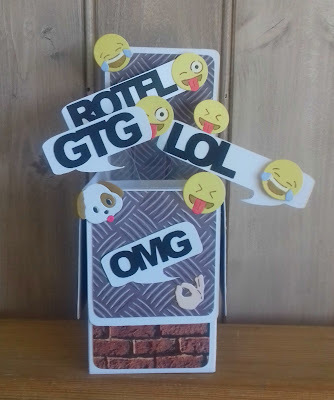 I wanted to use the dies to try and make something a little different from the other cards, something that you wouldn't necessarily think of as an emoji card. 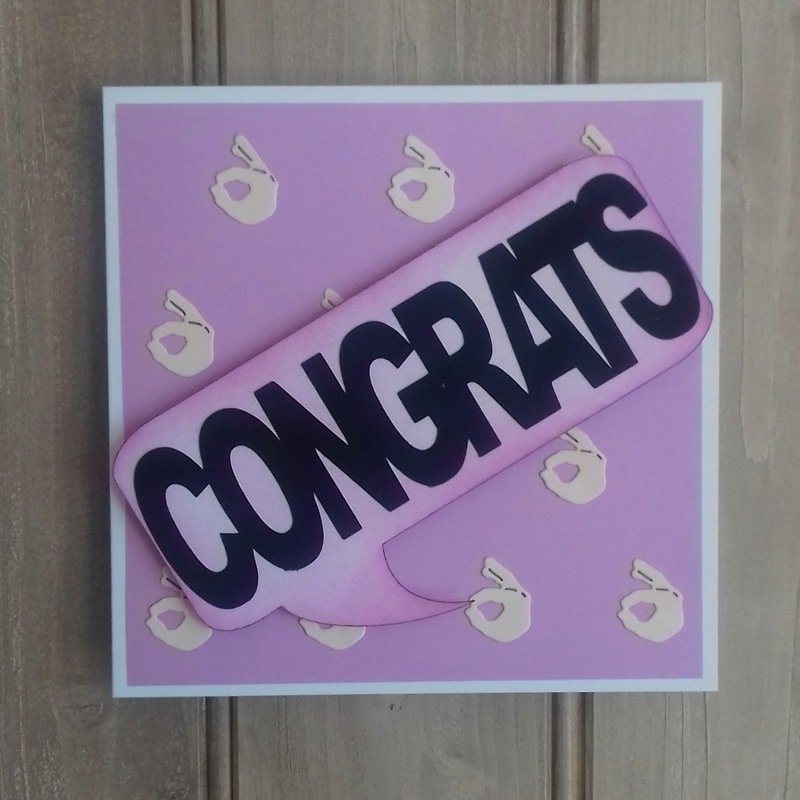 I thought the perfect emoji would be great for a congratulations card, it could be for a passed exam or driving test or for someone who's got a new job. This card totally steps away from the emoji theme and is really cute, hopefully it shows another way to get more from them. Pretty in Pink - Altenew Garden Treasure.